The questions were pretty straightforward and practical so if you’ve been managing PPC campaigns with Adcenter for a while now, this test should be really easy. All candidates who passed the test will also be listed in Adcenter Membership Directory, so more power to PPC pros who know what they are doing. I will post my profile link once it gets updated in the directory. 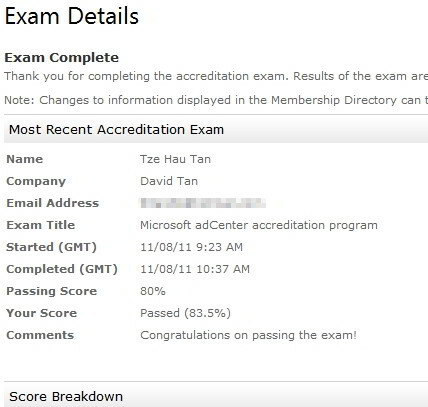 If you need someone to help you with Adcenter, I can be contacted here.